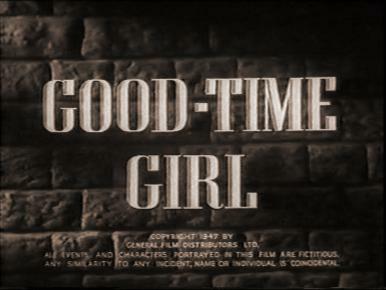 Theme from Good-Time Girl (1948). A girl escapes from a remand home and starts on the road to ruin. 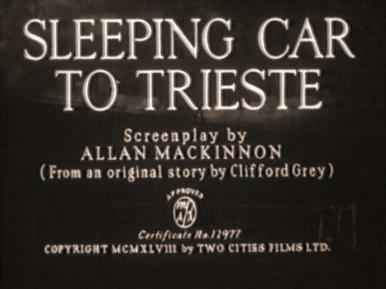 Main title from Sleeping Car to Trieste (1948). Thieves and blackmail victims are among the passengers on an express train. 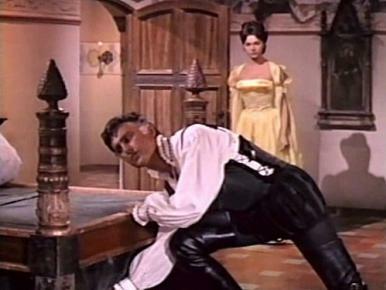 Stanswood (Stewart Granger) secures the bedchamber of Lady Orietta (Sylva Koscina) – much to her chagrin. 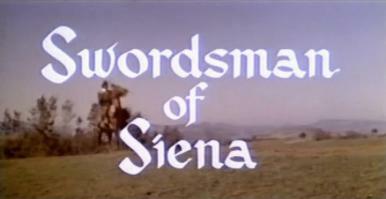 Main title from Swordsman of Siena (1962). A Spanish overlord plans to marry into a prominent Italian family in 16th-century Tuscany, and hires an Englishman to serve as bodyguard for his less-than-eager fiancée. 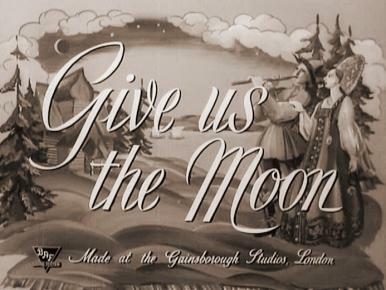 Main title from Gun Glory (1957). A gunfighter returns home to settle down, but finds his wife dead and his son resentful. 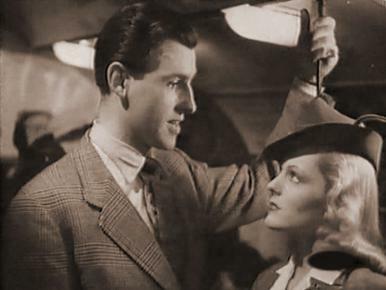 Penley (Stewart Granger) explains to Phoebe (Eileen Bennett) as to why he won’t help her work in the film industry – much to her annoyance! Fennis (Sally Ann Howes) is caught in the middle. Main title from Thursday’s Child (1943). A child from an ordinary family has success in films and it causes problems at home. 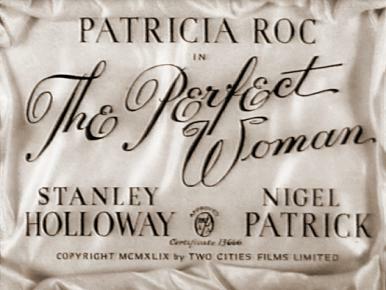 Main title from The Perfect Woman (1949). A girl changes places with her inventor uncle’s robot woman. 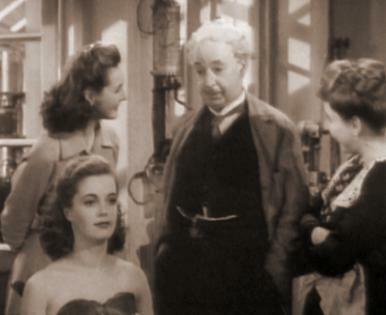 ‘Flesh and blood, and a little bit of calcium,’ says Professor Belman (Miles Malleson) to Mrs Butters (Irene Handl). Penelope (Patricia Roc) has her own ideas. 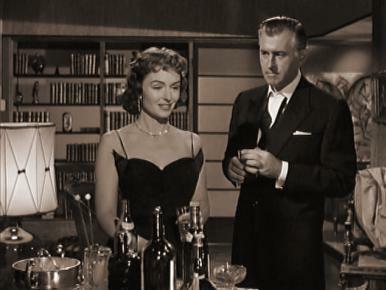 Max (Stewart Granger) admits to Carol (Donna Reed) his affair with the fiery actress Gina Bertini. 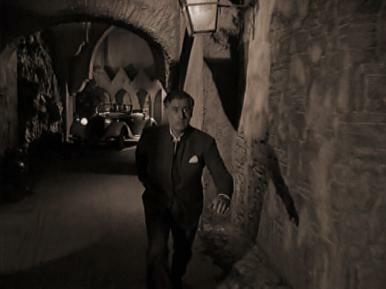 Max (Stewart Granger) desperately tries to escape from the custody of the French police. 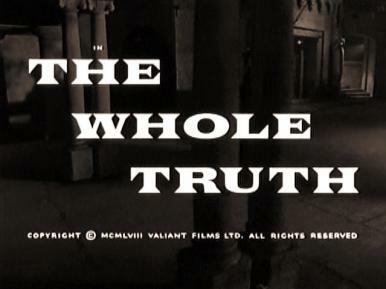 Main title from The Whole Truth (1958). A jealous husband poses as a detective in order to murder his wife and incriminate a film producer. 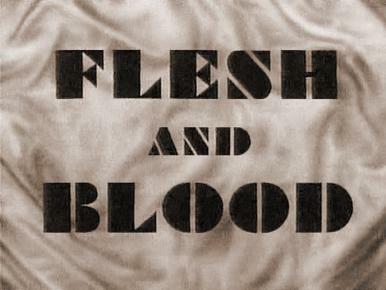 Main title from Flesh and Blood (1951). Three generations of a family suffer from the effects of heredity. 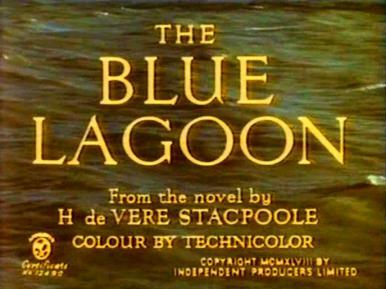 Main title from The Blue Lagoon (1949). A shipwrecked boy and girl grow up on a desert island, ward off smugglers, have a baby, and eventually sail away in search of civilization. 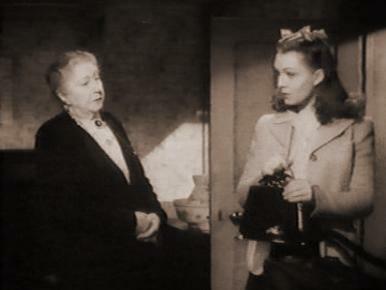 Main title of The Way to the Stars (1945). 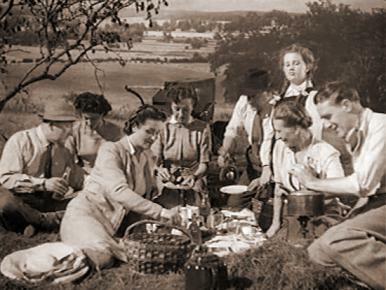 World War II as seen by the guests at a small hotel near an airfield. 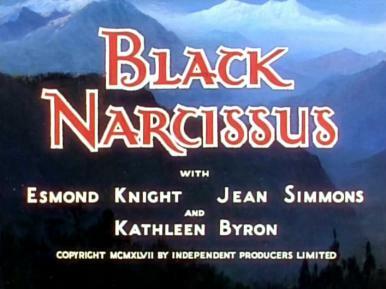 Main title from Black Narcissus (1947). Anglo-Catholic nuns in the Himalayas have trouble with climate, morale and one of their number who goes mad with sexual frustration. 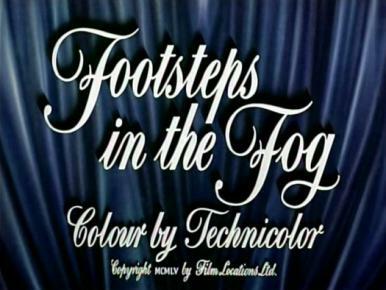 Main title from Footsteps in the Fog (1955). A Victorian murderer plans to eliminate his blackmailing maid. The Royds’ family picnic fails to take in to account the great British weather.